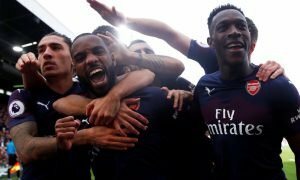 Inter Milan chase Arsenal flop | The Transfer Tavern | Where football transfer rumours fly or die! It’s been a busy day in the Football Transfer Tavern and Metro journalist Jamie Sanderson has arrived with news that Inter Milan want to sign Arsenal striker Marouane Chamakh. 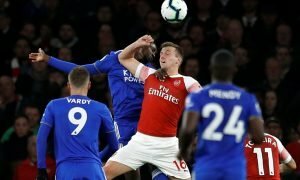 The 28-year-old has been told he is surplus to requirements at the Emirates Stadium and that he can leave during the January transfer window. It was thought that he was ready to sign on loan for West Ham United for the rest for the season but interest from the San Siro may turn his head towards Italy. The Italian giants have been recommended to the former Bordeaux striker by his agent who is trying to engineer a move away from North London immediately. There is also the prospect of the Moroccan returning to France with former club Bordeaux thought to be keen although Arsenal’s £3 million price tag may put them off. Chamakh has been a complete flop at Arsenal, making just two starts this season in the Capital One Cup and understandably Arsene Wenger wants to clear his £60,000-a-week wages from the club’s books. However whether Inter are actually interested in the striker remains to be seen but it does appear likely that his poor spell at Arsenal will be coming to an end soon. Can you believe Inter would be interested in signing the misfiring Moroccan? Vote in our polls below.